I love the kind of people that come into my life through my business. I honestly never know who I’m going to meet and get to work with, but that’s the best part…no two days are ever the same. 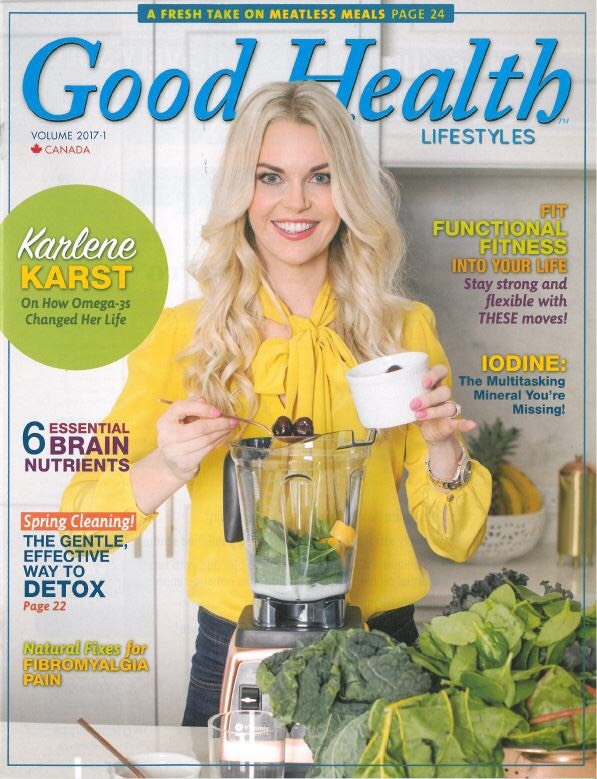 I got an opportunity to do Hair & Makeup on Karlene Karst the cover model for the April issue of Good Healthy Lifestyles Magazine. I had never met Karlene prior to this shoot…but when I did meet her she greeted me at the door of the location we were shooting at with open arms…which is perfect, because I’m a hugger myself! She is beautiful, warm and you instantly feel her energy and presence. Karlene shared stories with me of how hard she’s worked to get to where she is and how she never gave up….I can relate to this being a small business owner myself. It was a perfectly fitting day to spend time with her in my chair…as I am a person who is into fitness and being as healthy as I can…it was great to get some pointers on how to include more nutrition into my busy life with 2 boys. Sometimes on set you are sipping cold coffee and sitting around but on this day, Karlene made us ridiculously good smoothies that were jam packed with awesomeness and we had a great time! It’s great to see the issue out…so make sure to get your hands on a copy and check out her article…she’s got some great pointers in there and super helpful tips. It’s all about balance, doing the best you can and connecting with other woman out there making their mark!